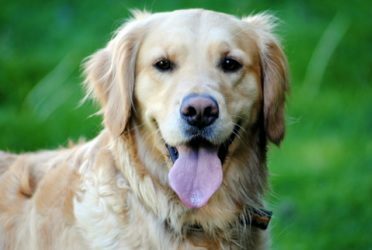 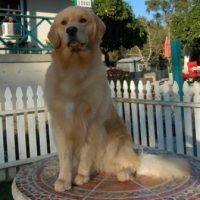 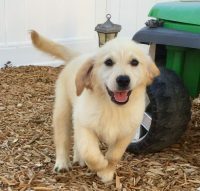 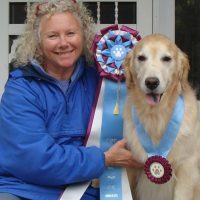 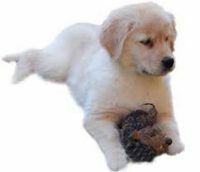 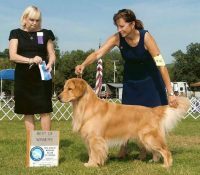 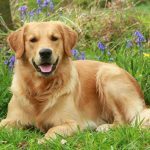 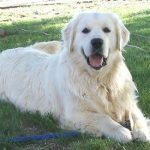 Our AKC Champion Bloodline Golden Retrievers are excellent companions. 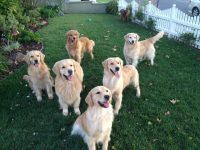 These lovely pups are family raised in the beautiful country setting of Vienna Maine. 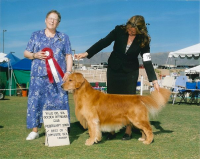 We breed for health and temperament, from champion show and field lines. 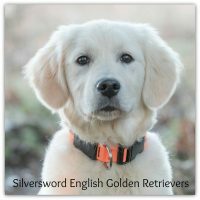 Our puppies have been featured on the cover of Golden Retriever Weekly. 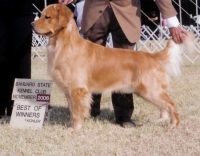 We are experienced breeders, currently raising our third and fourth generation. 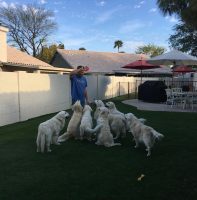 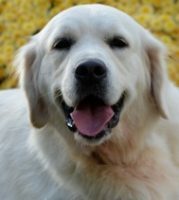 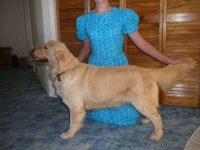 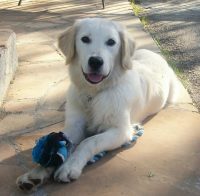 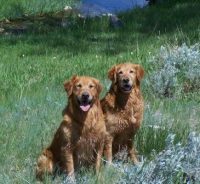 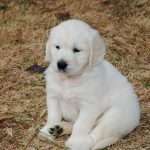 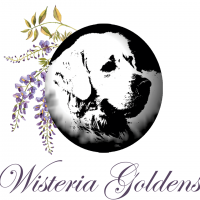 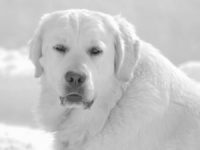 Their bloodline includes a grandfather who is listed in the Golden Retriever Hall of Fame for siring over 100 Champions!